The class of 2017 has some pretty remarkable students, including these driven young people. It hasn’t been easy. They have toiled and excelled in the classroom. Struggled and triumphed on the playing field. Grappled with self-doubt and cultural differences to overcome significant challenges and succeed. 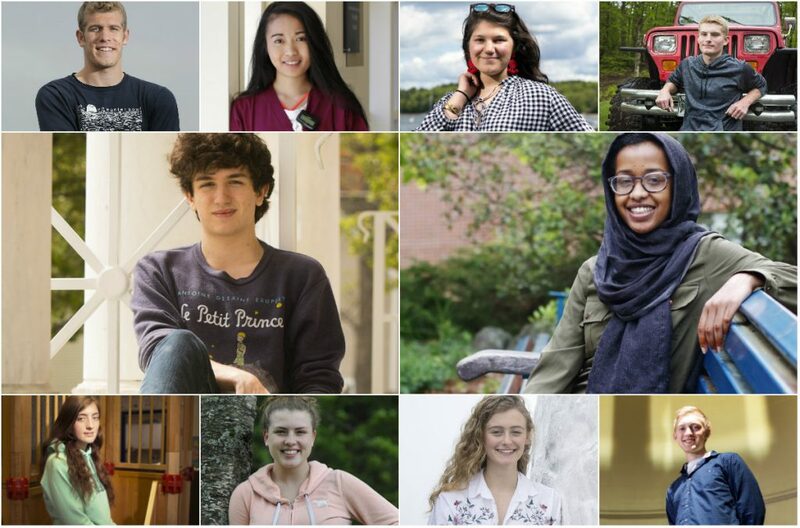 This month, thousands of young Mainers are making one of life’s great transitions at high school graduations across the state. We asked area high school administrators to identify seniors who, because of heart, talent or toughness, are likely to make a difference in the world. Here are the stories of 10 remarkable members of the class of 2017 and their journeys so far. They include two immigrants, several social activists and a student who was largely home-schooled. Their career goals include nursing, neurology, civil rights law and international conflict resolution. They’re focused on cleaning up the planet, caring for children, fixing cars and putting people on Mars. One worked so hard in high school, he’s skipping his freshman year at the University of Maine. Another did so well at Portland Arts and Technology High School, she’s starting a full-time job in her intended profession immediately after graduation. They have already accomplished and overcome so much – including language barriers and learning disabilities – and they want to do more. 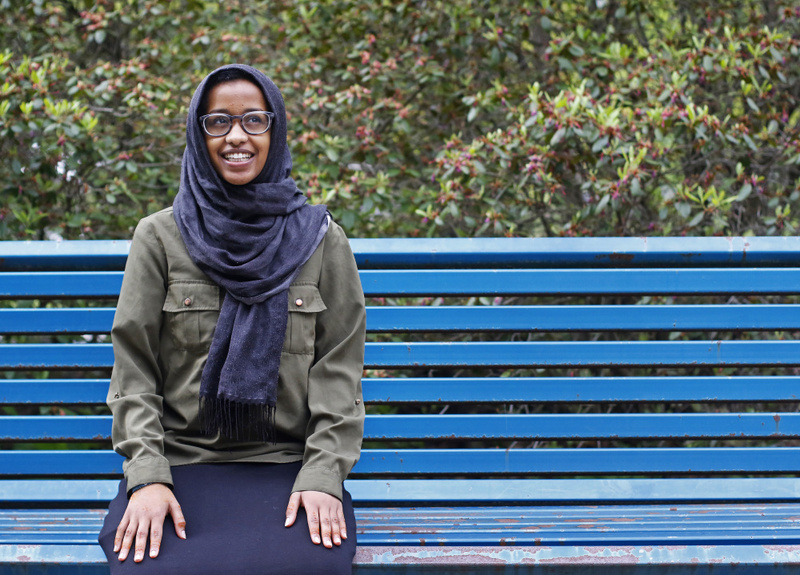 Samira Ahmed, an 18-year-old Somali immigrant and student leader, says: "I want to give back to the community that has given so much to me." A self-described “STEM gal,” Samira Ahmed loves science, technology, engineering and math. She plans on becoming a neurologist so she can help people overcome medical problems in the body’s control center. Ahmed, who graduates this month from Casco Bay High School in Portland, is a Somali immigrant who arrived in the United States when she was 7 years old. One of seven children, she was born in a refugee camp in Uganda, where her parents spent many years before coming to Portland. Now 18, Ahmed has distinguished herself as a modest but highly motivated student, winning the prestigious Navigator Award for Excellence in Leadership from the Casco Bay faculty in January. Ahmed was chosen because she always works hard, often stays late, pitches in to help teachers, tutors fellow students and challenges herself academically. She took Advanced Placement English as a junior to improve her writing skills, added AP biology to a full senior course load and did an in-depth senior project on stem cell research. Ahmed also proved to be a school leader after two Casco Bay students reported that they were assaulted while waiting at a bus stop in late January. Jamie Hoffman, 20, of Portland has been charged with two counts of assault and one count of interfering with constitutional rights. A few days later, Ahmed participated in a demonstration at Portland City Hall that drew about 1,500 people to protest President Trump’s order banning citizens of seven Muslim-majority countries from entering the United States. Four afternoons each week, Ahmed attends the local dugsi, a Somali religious school where she studies the Quran. She also helps out around the house and works four days a week in the kitchen at The Cedars retirement community in Portland. Ahmed plans to attend the University of Southern Maine, then go on to medical school. Read all 2017 graduates to watch profiles. 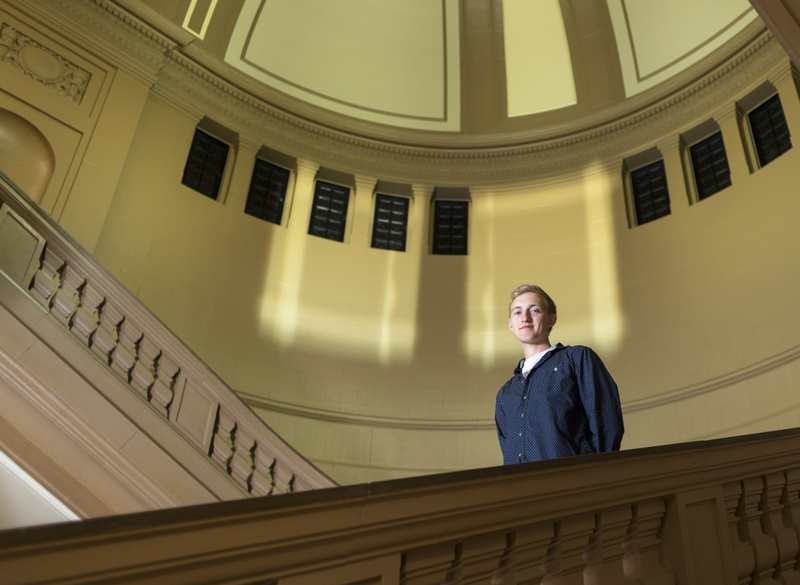 Caleb Bailey, 18, of Saco plans to study engineering physics at the University of Maine this fall, hoping he will, perhaps someday, help "get people on Mars." When Caleb Bailey heads to the University of Maine this fall, he will enter as a sophomore, skipping a whole year of early morning introductory classes and exams, and saving about $24,000 in the process. Bailey, 18, will be the first student to graduate from Thornton Academy and decide to attend the university’s College of Engineering through a first-in-the-state partnership between the two schools. The program’s goal is to fulfill a need for engineers in Maine and create a pipeline for students who are motivated to enter careers in the fields of science, technology, engineering and mathematics. Bailey carried a rigorous course load throughout high school, including Advanced Placement classes in chemistry, physics, computer science, calculus, English composition and human geography, as well as English literature at Southern Maine Community College. In the end, his extra effort translated into 30 college credits – enough to cover his freshman year at Maine’s flagship university in Orono and make it possible to get a bachelor’s degree in three years. The financial savings will come in handy for Bailey, who’s been helping his mom, Danielle Cote, make improvements to the fixer-upper she recently bought in Saco. He also worked the last few summers at a local farm, where he planted, picked and packed vegetables seven days a week. And he tutored math team members at Burns Elementary and Saco Middle schools for the last four years. Bailey spent much of his free time with classmates in the state-of-the-art engineering center at Thornton, a private grade 6-12 school that accepts high school students from the local public school district. He credits physics teacher Matthew Amoroso with inspiring him to pursue his interest in engineering and the opportunity offered by the UMaine partnership. Given his strong interests in astronomy and relativity – gravitation’s relation to other natural forces – Bailey plans to major in engineering physics. “I think it would be really interesting to work on spacecraft and try to get people on Mars,” he says. Home-schooled, Isaac Bennett, 17, enrolled and excelled in the automotive technology program at PATHS. With his uncle, he rebuilt this 1989 Jeep. "I've really come to value dialogue and community," says 18-year-old Natalie Gale about her support-building experiences at Cape Elizabeth High School. Empathy, tolerance and understanding aren’t just nice words to Natalie Gale. 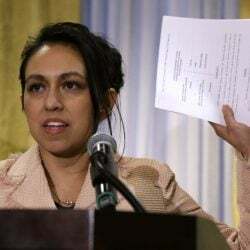 They are the ideals that fueled her efforts to combat the isolation, complacency and disregard that she believes many immigrants encounter in her community and beyond. Gale, 18, established Cultural Communications, a program that allowed Cape Elizabeth High School students to mentor and provide academic support for immigrant students in Cape Elizabeth and Portland schools. About 35 high school students participated, spending one or two days each week with about 25 English-language learners in Cape Elizabeth’s middle and elementary schools, and many more in Portland’s three middle schools. Gale, who graduates from Cape Elizabeth this month, found that she enjoyed interacting with immigrant students as much as organizing the program, recruiting student mentors and collaborating with school administrators in both districts. Gale’s program has received widespread recognition, including a Gold Star award from the Girl Scouts of Maine, an honor similar to Eagle Scout designation that puts her in the running to be named one of 10 National Young Women of Distinction by the Girl Scouts of the USA. She also won a $20,000 Coca-Cola leadership scholarship and a $10,000 AXA Achievement scholarship. Gale helped to organize a daylong program on sexual assault for Cape Elizabeth juniors and seniors that was held at the University of Southern Maine so students would consider the issue outside their regular routine. An accomplished violinist, she also is a founding member of the Arisu String Quartet for high school students at the Portland Conservatory of Music and the Maine Youth Rock Orchestra. Gale plans to attend Harvard in the fall and study sociology. 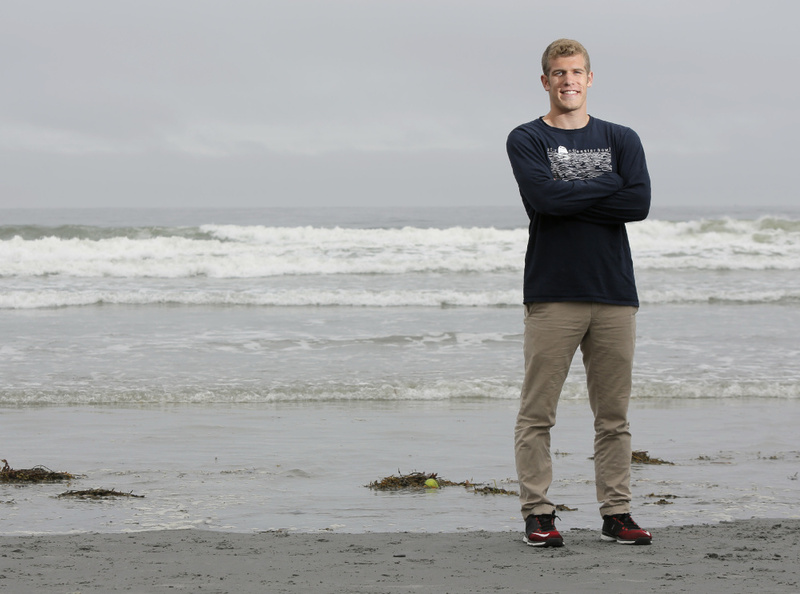 An all-around athlete who works as a lifeguard, Jake Leclerc, 17, plans to put his wide-ranging language skills to work in international studies. When Jake Leclerc was a preteen, he lived in a suburb of Munich, Germany, where his father’s job took the family for a few years. The experience sparked interests that have evolved into career goals for the York High School senior, who graduates this month. A hard-working student in the top 20 percent of his class, Leclerc plans to major in international studies at the University of Denver. It helps that he already speaks a few languages, having studied German and Spanish in high school and learned a little Arabic on his own. 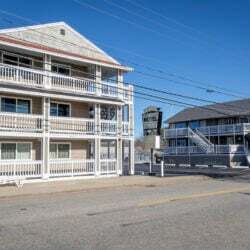 An accomplished skier and all-around athlete who played lacrosse, golf, football and unified basketball, Leclerc will work as a lifeguard at town beaches for the third year in a row this summer. 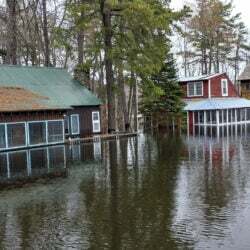 He helped to develop a water rescue training program with the York Fire Department that he hopes will expand to provide regular waterfront patrols this summer. Leclerc, 17, has volunteered for several community service programs, including as a National Honor Society tutor for a few geometry students. He’s been on two mission trips with the youth group at St. Christopher Catholic Church in York, fixing up houses for people in need in rural Pennsylvania. He also was a member of TIDALWAVSE, a student group that advocates for a chemical-free lifestyle and travels to other school districts promoting alternative ways to build self-esteem and enjoy life. 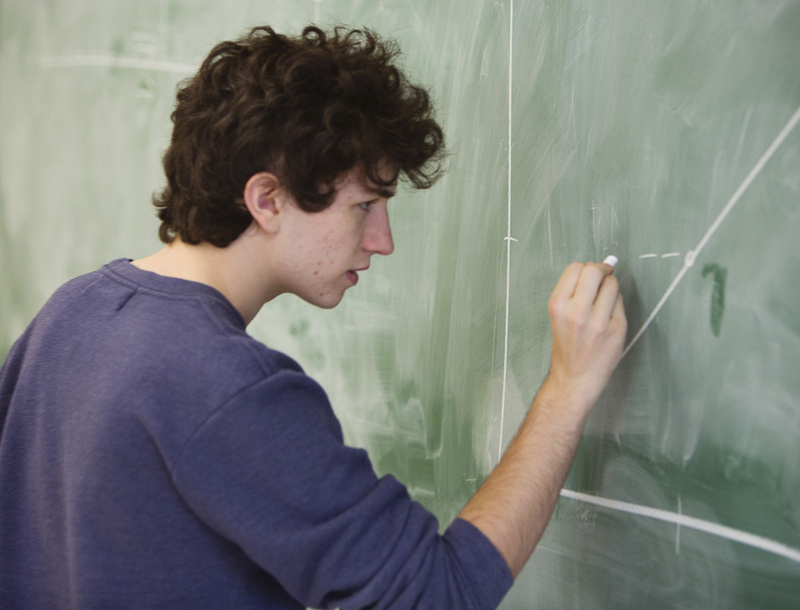 Josh Lodish, 18, has been active in social issues and plans to become a lawyer. But first, a gap year for "travel, community service and working with children." Josh Lodish has spent a good portion of his time at Waynflete School working on social justice issues, and he’d like to become a civil rights lawyer, but he’s got more global plans for the next year or so. Lodish, who graduates this month from the private school in Portland, was a Project Respect mentor for students of diverse backgrounds at the neighboring Reiche Elementary School for four years. He was a leader in Waynflete’s racial awareness program and interviewed Portland Police Chief Mike Sauschuck twice about current criminal justice issues – at a school assembly and during a regional student conference. For his senior project, Lodish shadowed a public defense attorney and a juvenile justice advocate. “I got to see the justice system from a couple of different angles,” Lodish says. Lodish, 18, plans to study public policy in the pre-law track at Davidson College in North Carolina. But before he buckles down for another four-plus years of school, he plans to take a year off and travel the world, doing community service wherever he can. 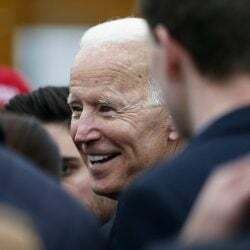 He’ll be traveling with a friend, who’s also taking a year off, and paying his own way with money he saved from summer jobs and his bar mitzvah. They’ll leave in September and return next June. Their itinerary includes Nepal, Thailand, South Africa, Israel and Jordan. Lodish, who lives in Portland, says he’s grateful that his parents, Kristin, who teaches immigrants at Portland Adult Education, and Martin, a former teacher, support his plan to take a gap year. “They’ve always encouraged me and let me find my own way,” he says. 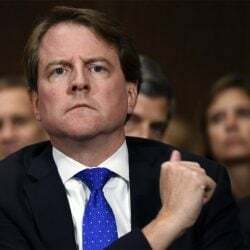 Looking ahead, Lodish says he’ll probably become a lawyer and work with minorities and others who often don’t get a fair shake from the legal system. After Mikayla Martin enrolled in the early childhood occupations program at Portland Arts & Technology High School, "I knew ... I was in the right place." The turning point for Mikayla Martin came during her freshman year at South Portland High School. The way Martin remembers it, a special education case manager warned her that if she didn’t make some changes, she wasn’t going to amount to much. Martin admits that she had little interest in school at the time and wasn’t doing well in her classes, but the case manager’s words still stung. 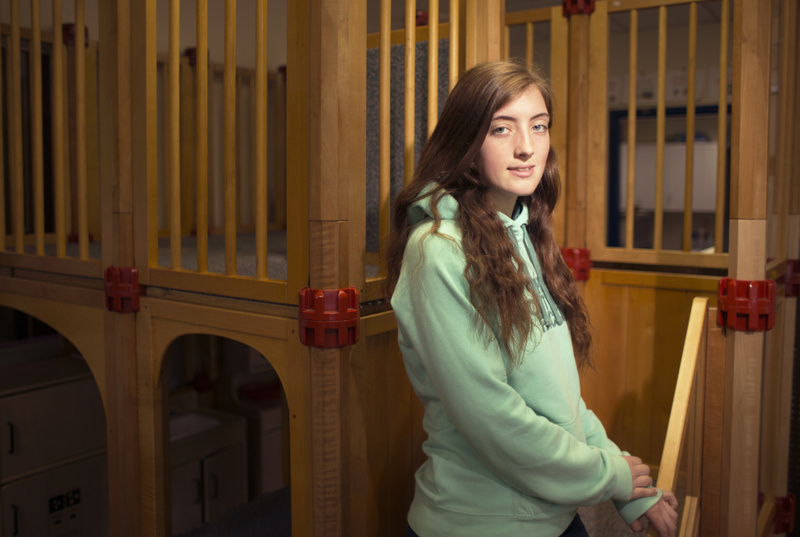 “That put me in the mindset that I might as well drop out,” recalls Martin, 18, who says she had difficulty learning subjects outside her personal interests. Lisa Tellefsen, a guidance counselor who knew Martin loved children and enjoyed babysitting, intervened. She enrolled Martin as a sophomore in the early childhood occupations program at Portland Arts and Technology High School, which serves high school students throughout Greater Portland. Usually geared toward juniors and seniors, the program prepares students to care for and teach children to age 8. It proved to be a perfect fit for Martin, especially with an on-site child development lab that cares for children in the community. “I knew the first day I walked into the class, I was in the right place,” she says. This month, Martin graduates from both South Portland High School and the PATHS program. 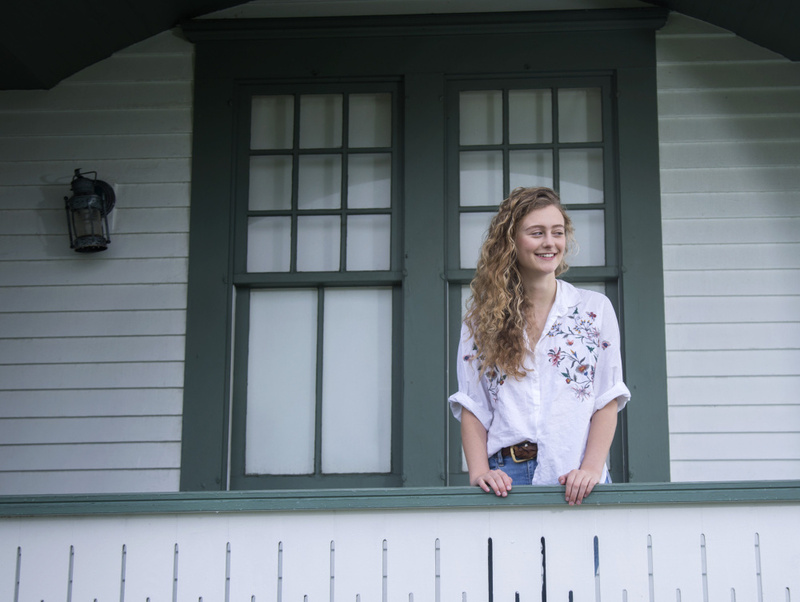 She was one of 10 Maine students who were semifinalists in the U.S. Presidential Scholars Program, one of the nation’s highest honors for high school students. A year ago, Martin became the youngest person in Maine to be certified as a child development associate, a two-year process that required her to complete 120 hours of training, 480 hours working with children, six professional essays and a certification exam. And Martin already has a full-time, professional job lined up – a rarity among most high school graduates. She will be a lead teacher of infants and toddlers at the Children’s Time Child Development Center on outer Broadway in South Portland, where she worked every afternoon in the months leading up to graduation. Miranda Mastera, 19, of North Yarmouth wants to train to become a registered nurse when she attends Southern Maine Community College this fall. Miranda Mastera stopped going to high school during her junior year. She was in an unhealthy relationship at the time and family upheaval at home made it impossible for her to continue, she says. She tried to return for her senior year but didn’t follow through. Last fall she gave it one more try, and it turned out to be the charm. 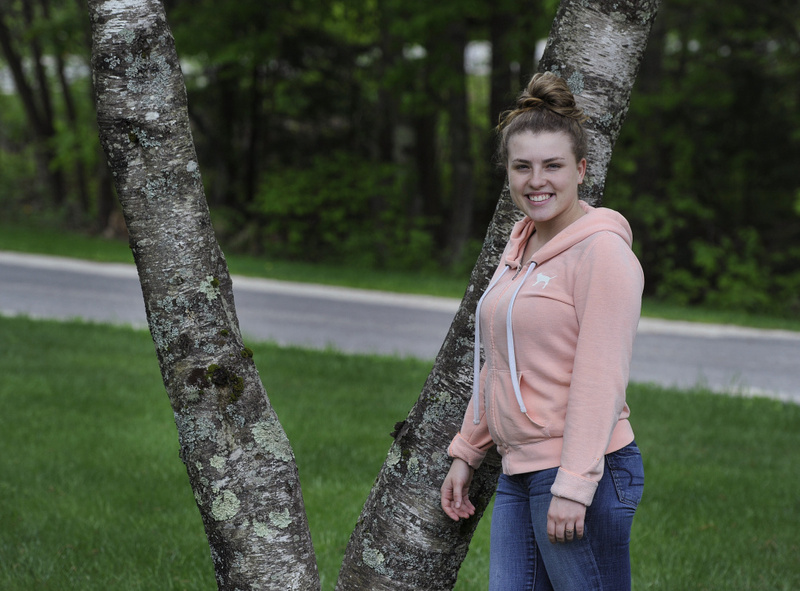 Mastera, who lives in North Yarmouth, graduates from Greely High School this month as a fifth-year senior. Throughout high school Mastera moved often and attended several school districts. A highlight of the difficult times has been helping to raise her niece Calleigh, 6, who has a rare genetic disorder and has been adopted by Mastera’s parents. Mastera, 19, has aspired to become a country music singer since she was 9 years old and recently recorded an EP of original songs that has yet to be released. But she found another calling this year through an after-school, for-credit internship program that allowed her to work two days each week with residents of the Ledgeview Assisted Living facility in Cumberland. She plans to attend Southern Maine Community College this fall and wants to become a registered nurse. Mastera credits her older brother Mason, 20, with inspiring her to finish high school. The two siblings started elementary school together and stuck by each other through thick and thin. Determined, responsible and kind – “he’s the best person that I’ve ever met,” Mastera said of her brother. So, when her brother graduated from high school last year without her, it was a big disappointment for them both. This month, she attended his graduation from Marine boot camp at Parris Island, South Carolina, and he will attend her graduation from Greely. 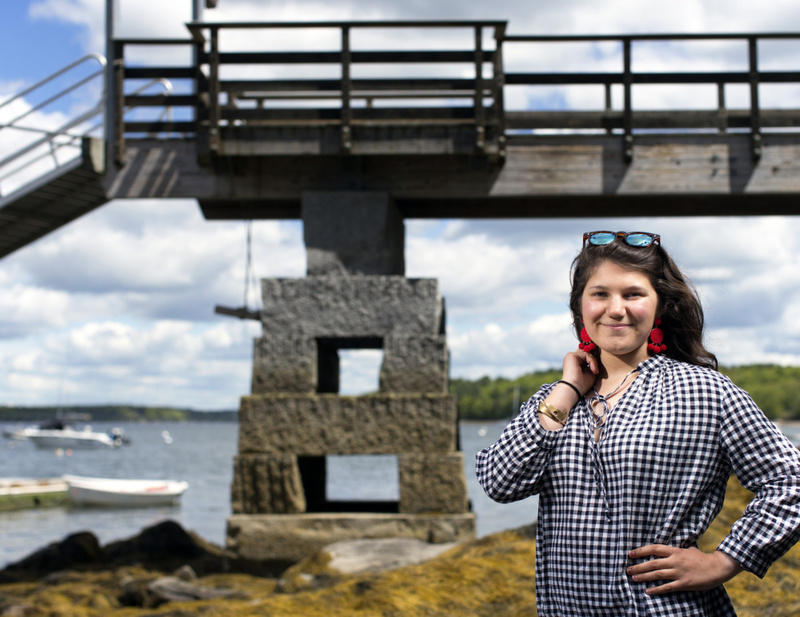 Seen here on Cousins Island, 17-year-old Isabella Pardales led an effort to promote tap water and reduce bottled-water waste at Yarmouth High School. For Isabella Pardales, it’s simple math. 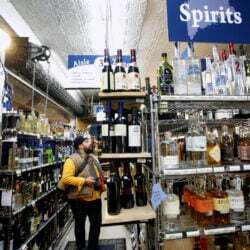 Americans now drink more bottled water than soda, though studies show it’s no healthier than tap water, it takes at least 1,000 times more energy to produce and transport, and only one in five plastic water bottles is recycled. To help reduce the tons of plastic that winds up in landfills, rivers and oceans each year, Pardales launched a “Take Back the Tap” campaign at Yarmouth High School last fall. Adopted by more than 170 colleges across the United States, the campaign encourages students to drink tap water from reusable bottles rather than buy bottled water. After attending a Sierra Club training session, Pardales worked with the Global Action and Green Voices clubs at the high school to promote awareness of bottled water waste. That included passing out “Take Back the Tap” stickers for reusable water bottles. Pardales, 17, says she also knew that a total ban was impossible because bottled water sales make up a significant portion of school cafeteria revenue. Still, she was pleased when the class of 2017 recently decided to install a $500 water bottle filling station in the cafeteria as a gift to the high school. “It shows that our class is environmentally conscious and wants to make an impact on future students,” she says. Pardales spent a month before her junior year living with a family of shepherds and goatherds in eastern Mongolia. Raised vegetarian, Pardales ate mostly root vegetables while she was there, but she developed a keen awareness of global environmental struggles. A talented artist, Pardales was a Winslow Homer High School Fellow last summer at the Portland Museum of Art, where she came to see the connection between museums and the natural beauty depicted in their collections. She plans to attend Hobart and William Smith Colleges in upstate New York, where she’ll major in environmental studies and minor in studio art. 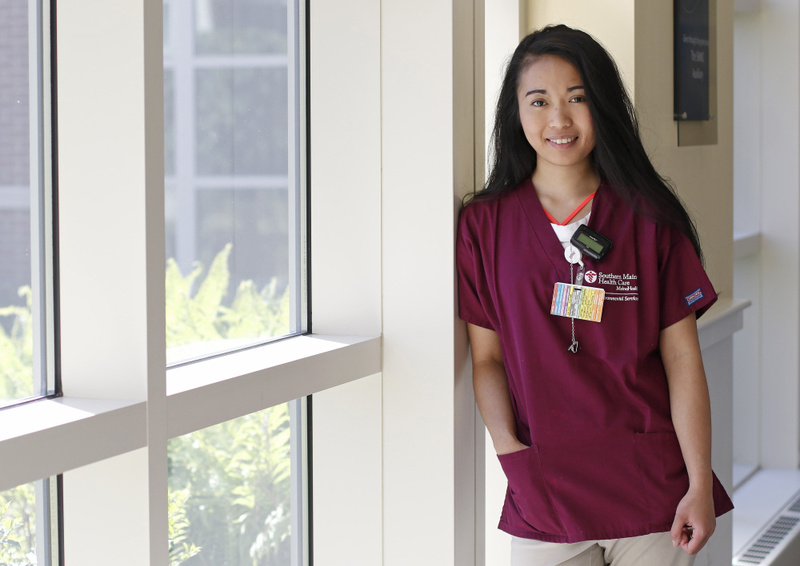 On track to become a nurse, Sheibon Claire "Bon" Tizon, 19, of Limerick, works part time at Southern Maine Health Care's hospital in Biddeford. Sheibon Claire “Bon” Tizon grew up in a small town in the Philippines, where her family washed clothes outdoors in a large bucket and cooked meals over an open fire, mostly fish and rice grown in nearby fields. Tizon came to the United States when she was 13, after her mother married a Mainer and moved here. Though Tizon was a dedicated student, the transition was challenging. It was a whole new culture and she spoke little English. Tizon, 19, graduates this month from Massabesic High School, where she took Advanced Placement English and biology classes and honors chemistry. She also attended the health occupations program at Sanford Regional Technical Center and last month took the test to become a certified nursing assistant. She plans to attend York County Community College in the fall and wants to become a registered nurse. Tizon, who lives in Limerick, performed with the chamber singers and played volleyball at Massabesic. She also has a part-time job at Southern Maine Health Care’s hospital in Biddeford, where she cleans offices and patient rooms each Saturday and Sunday. And she’s an active member of the Seventh-day Adventist Church in Limington, which has played a significant role in her life here in Maine. “I feel like God was helping me to overcome all those obstacles, so I love my church,” Tizon says. Tizon says she appreciates her bountiful life in the United States, but she misses her extended family back in the Philippines, and she’s looking forward to visiting them in January for the first time in seven years. She also looks forward to becoming a registered nurse and possibly taking her medical skills abroad. “I would like to work as a travel nurse and see the world and learn about other cultures,” Tizon says.